With virtualization now becoming the new norm, it's more important than ever to understand how to effectively manage and maintain your virtualized machines. Server memory is critical to the success of your virtual environment – do you know which type works best for your data center? If you work with multiple virtualization file formats, how do you ensure compatibility? 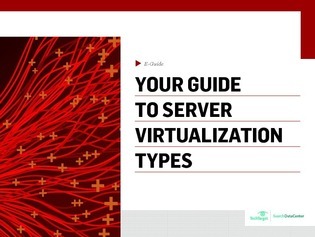 This e-guide walks you through the different types of server memory, virtual machine compatibility, and virtualization file format to help you determine the right mix of tools and tactics to get the most from your virtual environment.